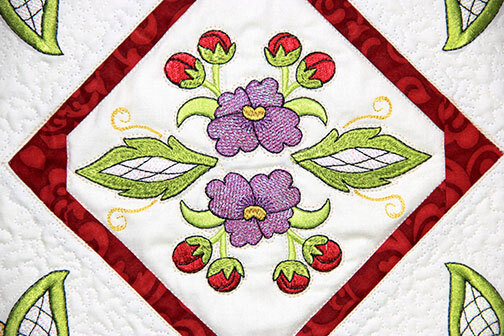 Mylar Joyful Jacobean is a colorful collection of elegant designs with the added sparkle of Mylar Embroidery ®. 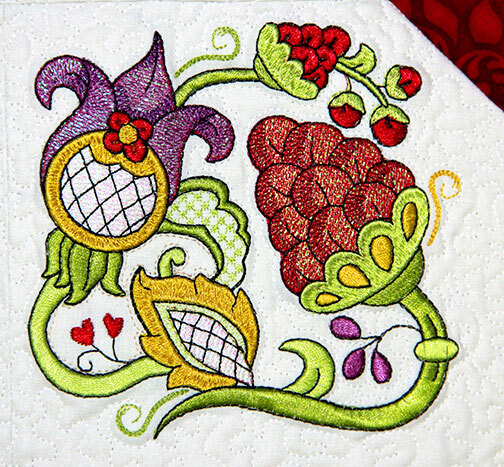 Jacobean style designs with scrolls and ornate floral elements in rich, bold colors for the seasons make this machine embroidery collection one that will bring you joy all year round. Download yours today!